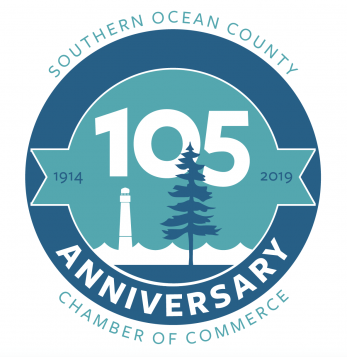 SHIP BOTTOM, N.J. - March 14, 2019 - PRLog -- The Thrive in 105 committee continues to roll out special events in honor of the Southern Ocean County Chamber of Commerce milestone 105th Anniversary. The next event to be hosted at the chamber's Visitor and Commerce center will be a drop in event from 5 to 630pm with signature drink, happy hour snacks, anniversary event information including May's Get Acquainted and June's Gala. Networking will abound on both levels of the chamber, along with chances to win prizes and music provided by Beasley Media Group station WJRZ with special musical performance from Todd Meredith from the Rave Ons. Fun and experienced bartenders from chamber member Set the Bar, LLC will have everything to create a signature spring anniversary Bellini. Owner Susan Vilardi has over twenty years of experience bartending weddings and special events. Sue specializes in weddings and large events, and provides consulting for making the day of as easy as possible for her clients. Along with her crew, everyone has a great time at the bar. During this happy hour event, business people can discuss Set the Bar packages from hiring bartenders, to bringing the bar and everything else. Each attendee can exchange a business card to receive a drink coupon, there is no fee to attend and you must be over 21. A fun evening hosted by the Thrive in 105 Committee, Board members and staff will allow businesses to savor a spring event on the chamber porch or upstairs deck at their headquarters at 265 W Ninth Street in Ship Bottom. The event is open to professionals doing business in the Long Beach Island Region, there is not fee but an RSVP is required. Please contact Southern Ocean County Chamber of Commerce at 609 494 7211, info@sochamber.com or stop into their visitor center at 265 W Ninth Street in Ship Bottom. For more information go to www.visitLBIregion.com or follow on social as @southernoceanchamber or @LBIregion.